A teenage driver will sentenced next month after he admitted causing a Bradford man’s death in a car crash in Queensbury last year. Zachary Willemse, 19, had been due to stand trial in August over the serious road accident on Easter Monday last year, but the prosecution decided not to pursue a charge of causing death by dangerous driving and his guilty pleas were accepted. Willemse, Gibb Lane, Halifax, formally pleaded guilty to causing the death of 20-year-old Kallum McCarter by careless driving and also admitted further charges of causing grievous bodily harm to 38-year-old Matloob Hussain and 17-year-old female. 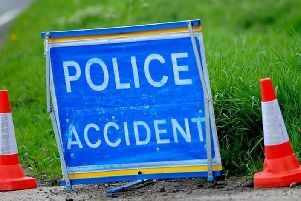 The defendant had been at the wheel of a Mini Cooper which collided in the early hours with a Toyota Hiace on the A647. Mr McCarter and the 17-year-old had been passengers in the Mini when it crashed into the Toyota, being driven by Mr Hussain, on Priestley Hill. Mr McCarter tragically died in hospital about five weeks after the collision. Prosecutor Stephen Wood told Judge Jonathan Durham Hall QC that the case had been adjourned previously because he had concerns about whether the Crown had sufficient evidence to cross the very high threshold for proving dangerous driving. He said discussions had taken place and that had resulted in the new charges being put before the court. Judge Durham Hall was given an assurance by Mr Wood that the parents of Mr McCarter had also been consulted about the case. Willemse’s barrister Peter Horgan said an interim driving ban would have to been put in place following his client’s guilty pleas and he asked for the case to be adjourned until June 26 for the preparation of a pre-sentence report. “I will need, obviously, some detailed victim impact material,” said Judge Durham Hall. “That is in hand,” replied Mr Wood. Judge Durham Hall imposed the interim driving ban with a warning to Willemse that if he did drive a car he would be creating additional trouble for himself. Willemse had his bail extended until his sentence hearing.